Welcome to Nautical Watch! These gulfside villas area in the perfect location for anyone to have the best vacation of their life! Emerald Coast by Owner is proud to offer you a number of these luxurious properties. The style of these properties makes you feel as if you're in your own private home on the beach, away from everything else. 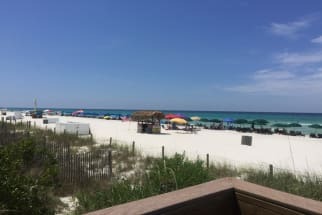 Some of the benefits of staying here include being able to enjoy 24/7 service, private beach access, kid's club, awesome pool area with grilling area and there's a nice changing room at the pool! When it comes to fun outside of this beautiful complex, the possibilities don't end! Some popular things to do include parasailing, boat tours, golfing, water parks and so much more you couldn't even imagine! There's a number of delicious seafood spots and traditional food spots all throughout the area that you'd enjoy! 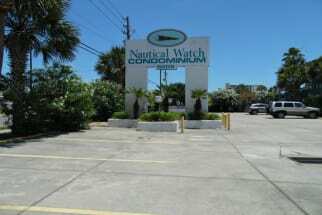 Scroll down now to view our listings at Nautical Watch Panama City Beach, FL. When you book with ECBYO we put you in direct contact with the property owners or managers. Contact the owners directly with any questions about booking!